Adding a sunroom or other type of patio enclosure is a great way to add space to any home. That could simply be a place to relax, a casual dining area, a family or room, crafts and hobby space, or a home office. With a fold-out couch it could double as a guest room. And a sunroom addition is absolutely perfect for indoor gardening or an indoor pool. Besides uncluttering existing living areas and giving you more room to spread out, a sunroom can be its own very special place. Blending the indoors and out of doors together you can enjoy ample sun in an open and spacious environment. Today’s patio enclosures are comfortable year round, warm in the winter and cool in the summer without a big increase in energy use. 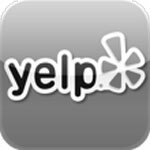 True professionals, we’re a licensed and fully insured home remodeling company. We employ only skilled construction workers, and with a general contractor’s license we can take care of everything. My Space Remodeling is an experienced patio room builder who will stay on schedule and within budget while providing quality workmanship and materials, plus exceptional customer service. Our work will meet building codes, and we’ll take care of all of the permits and inspections for you. We can even offer financing should you need it. Just give us a call and we’ll visit your home and get to know your planned uses and preferences. We’ll discuss the various design styles and materials choices. In addition to sunrooms, our company can provide the full range of patio enclosures including screen rooms and wall-only enclosures for wind protection and a bit of privacy. Our sunroom addition designs are second to none, with your choice of curved or straight eaves and a variety of sunroom styles such as California, cathedral, conservatory, gable, garden, solarium, and studio. With our custom designs you can also take your pick of materials and features. And with today’s construction practices you’ll be comfortable in your new room all year long. Quality aluminum framing and panels have the advantages of long lifetimes and low maintenance. Coated aluminum comes in a wide range of colors and embossed textures. It resists rot, termites, and fire, and never needs painting. For energy-efficiency 4″ thick wall panels are standard, and with foam-core insulation have an insulation rating of R-28. Laminated roof panels are typically 6″ thick and are also foam insulated. Wood allows fully custom construction for a perfect match of finishes and roofing, looking like it’s always been part of your home. Even so, cedar is a popular choice. And we can match or exceed the insulation levels of lighter-weight construction. 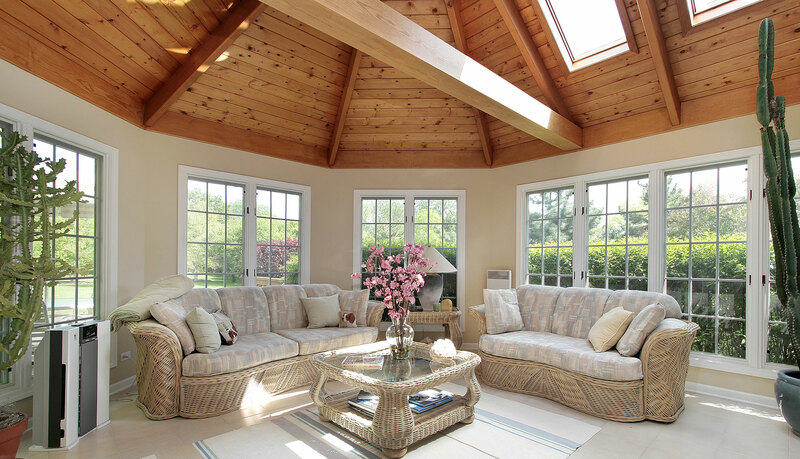 Needless to say, windows are the key component of any sun room. Today’s building codes and best practices call for the use of double-pane windows. Insulated glass keeps the summer heat out and the winter heat in. And tinted or reflective glass cuts down on glare. Your options include low-E and Energy Star™ windows and siding, and we can incorporate a variety a opening and locking mechanism types. We’ll provide everything needed for durability, weather protection, comfort, and great looks. You’ll have your choice of swing or sliding doors to name just one of many items on our checklist. Walls as well as ceilings can include electrical outlets, lighting fixtures, and ceiling fans. And our estimates never exclude important items such as gutters and down spouts. It’s simply bad business to provide gross estimates without seeing your existing home and understanding your needs and preferences. But the good news is that patio enclosure costs can be as low as half that of full room additions, and are faster to build. In a 2001 study, the National Association of Remodelers indicated that quality-built and well-maintained sunrooms retain some 90% of their value over the years while a standard family room add-on retains roughly 70% (and a swimming pool addition retains only some 30% of its cost in added home-value).